Putting Eat in the tweet, Aperitweat! awesomeness!! copywrite this pic.. and use them models next time - east not meeting west!! Aha...good one! 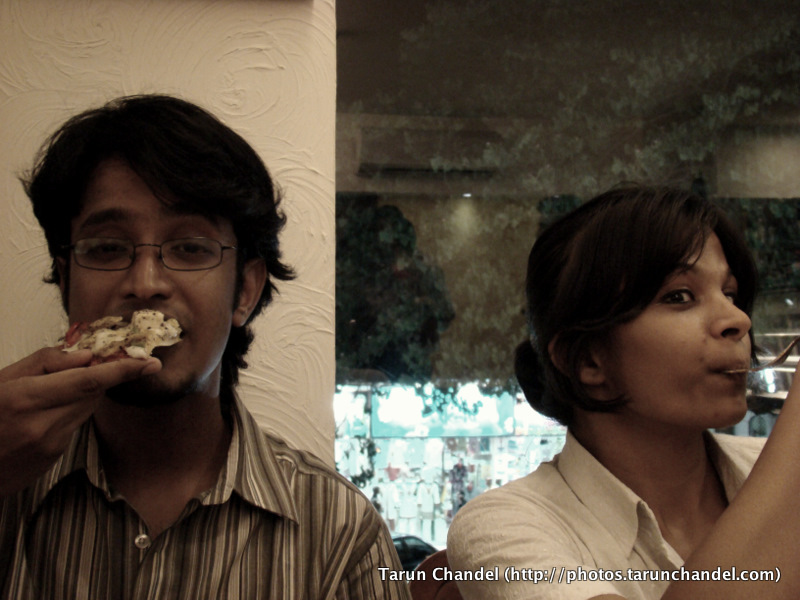 it actually looks like a split screen situation...KUDOS Tarun..yaar thodi photography hamein bhi sikhado! awesomeness.. how do I download this pic ? or rather can you mail it to me please..
Looks like a very interesting tweetup. When is the next one planned?